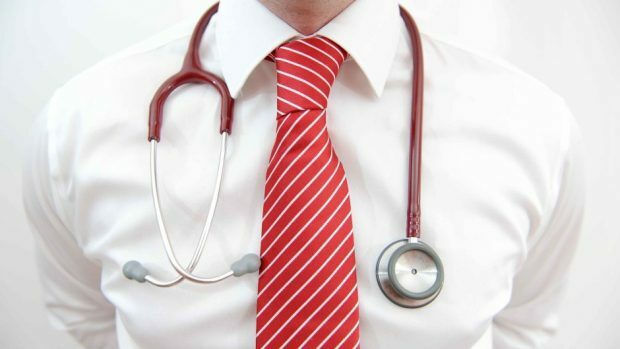 An ambitious multimillion pound scheme to take burdens off stretched NHS Grampian doctors is to put in place in Aberdeen. A public contract from the Aberdeen City Health and Social Care Partnership (ACHSCP) has appeared, advertising for charities or third sector organisations to bid for a £2.8million contract to provide 30 “link workers” for the city’s surgeries. The staff would be used to reduce pressure on clinical staff by providing advice and pointing to other services that could help deal with problems without medical treatment. The partnership is a collaboration between the council, NHS and other partners which aims to share resources in the face of shrinking budgets from central government. It is hoped that each of Aberdeen’s clinics will have a link worker attached. The north-east has historically struggled to recruit public sector staff, including GP’s, due to Aberdeen’s northerly location and high cost of living among other factors. But last night ACHSCP lead transformation manager Gail Woodcock said that doctors had reported that stress was a major factor in putting people off the profession and pointed to trials conducted in Glasgow. She said: “Just now there is a situation where if someone has a headache or can’t sleep they go to their GP who has maybe ten minutes to identify the problem and maybe sends them away with sleeping tablets. “The point of the scheme is that link workers will have more time to investigate any underlying problems and see what other solutions there are using their own specialities. A spokesman for the ACHSCP said: “Link workers are a key change within the IJB’s transformation programme, contributing to the delivery of the IJB’s strategic plan. “Link workers will provide person centred wellbeing support to patients, helping to improve people’s resilience by working with them to identify and address issues that negatively impact on health, including encouraging greater links with communities and local supports.